Anyone in the LA area seeking a proven specialist in Los Angeles dental implants knows that truly expert dental treatment is tough to find when serious oral health problems arise. Fortunately, Dr. Peiman Soleymani and his team at Beverly Hills Periodontics & Dental Implant Center have been leaders in both in periodontal treatment and dental implants, and are known throughout Southern California and beyond for their record of consistently positive outcomes for patients. A highly skilled Los Angeles periodontist as well as a leading innovator in the use of dental implants to provide the most medically effective, attractive, and convenient outcomes for his patients, Dr. Soleymani is a board certified periodontist who has taught at both the UCLA and USC dental schools. His practice offers numerous state of the part periodontal treatments to help keep gums, teeth, and the underlying bone structure healthy. Preventing or ending inflammation of the gums and other oral health problems, as well as the thoughtful use of dental implants, not only keeps the mouth functional and pain free, but deals with the threat of bone loss in the jaw. Some studies have linked oral health to heart health and other important matters. Take good care of your teeth and gums with the help of the skilled staff at Beverly Hills Periodontics & Dental Implants. Even if you currently struggle with very advanced gum disease and are in danger of losing your teeth, we can help you get the smile you deserve. 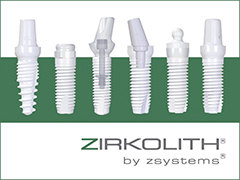 When you need a dental implant specialist Los Angeles residents can rely on, Dr. Soleymani is here to help.